The in-app purchases have been dropped drastically in the US. It was the dream game of everybody when it was first released in some nations on July 7. Within a week, i.e., by July 15, it recorded a total of 25 million downloads. Sensor Tower, a mobile data intelligence firm, said that they witnessed more than 75 million downloads on Android and iOS devices in the first 19 days of its release. It has been like the early rise and early downfall. There have been numerous reports saying that a number of games users have fallen steeply. The latest reports from the digital commerce tracker Slice Intelligence say that paying users for it in the US has dropped by a massive 79 percent last month. Niantic introduced double in-game spenders in the following weeks after the game is released. However, the number of buyers didn’t increase, rather fell. Pokemon Go has surpassed many records and milestones. Even after witnessing downfall, the sport is earning more than other games. As of now, it still has a share of 28.4 percent in the mobile game market. Following it is Candy Crush Saga with 4.5%. Following games in the list are Candy Crush Soda Saga (3.5 percent), Game of War – Fire Age (2.9 percent), Mobile Strike (2.6 percent), Clash of Clans (2.5 percent), and Clash Royale (2.2 percent). In the meantime, Pokemon Go Hub unveiled that Pokemon Go Plus wearables will bring Pokemon Go to Android Wear. The PGP project will make the game compatible to Android Watch, and it will be able to communicate smartphone with the help of Bluetooth. Since its release, the game has got into many problems. The issue went to the extent that countries like Iran banned it altogether. While, the countries like Cambodia, Thailand, and Vietnam has restricted it so that people can’t play it at some specified locations. While, in South Korea, it’s likely to be released any soon and maybe completely banned from releasing. It’s because the game needs real-time geospatial technologies and Google map data to be played smoothly. But, the country blocks the usage of the uncensored map from overseas. Also, there is a second petition filed to stop it from making available in India. 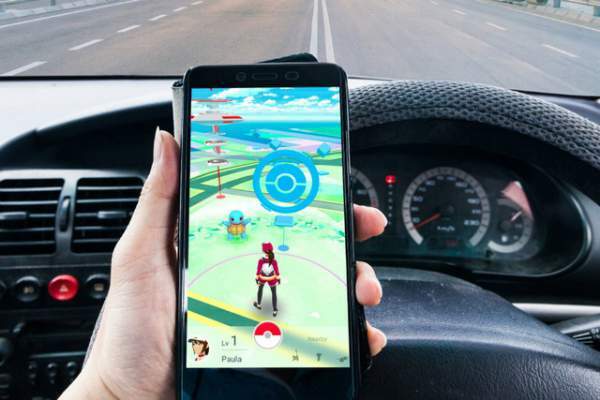 Recently, one more Public Interest Litigation (PIL) was filed in the Gujarat High Court seeking imposing ban of Pokemon Go. The petition has claimed that the game hurts religious sentiments of several communities. One of the highlight problems is the usage of Go eggs in temples, etc. “Pokemon Go” is a free augmented reality (AR) mobile phone game that lets players catch virtual characters in real life environment. Stay tuned to The Reporer Times for latest news and updates.